A. Veneer buckle (also called warp) is a general distortion of the sheet of veneer so that the sheet is not flat. The most important causes of veneer buckles are due to tension wood, irregular grain, and non-uniform drying. Tension wood: Also called growth stress, this occurs naturally as the tree is growing. These special wood cells that create tension wood are formed as the tree is responding to an outside force (wind, sunlight competition, a tree leaning against another, or a heavy branch, for example). Large growth stresses undoubtedly contribute to end splits in freshly harvested logs. Heating the veneer log, bolt or flitch before cutting can aggravate these splits. Unfortunately, the tension wood stresses in the tree are not always uniform. Tension wood can cause green veneer to buckle as soon as it is cut. Tension wood shrinks more in a longitudinal direction than normal wood during drying. This non-uniform tension wood shrinkage is probably the major cause of buckle in dry veneer. Tension wood seems to be more common in logs that are bowed or crooked. Logs that are eccentric seem to have more tension wood. Tension wood in logs, lumber and veneer is hard to identify visually. Tension wood is often considerably lower in weight. 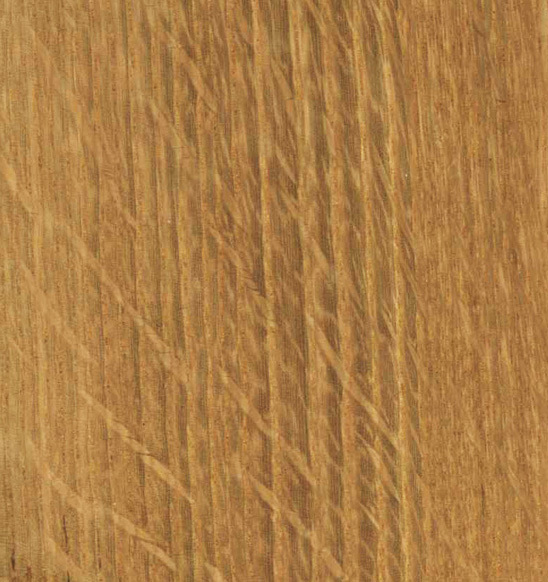 Veneer with tension wood often has a fine fuzz to the surface rather than the more characteristic smoothness. This fuzz can create a silvery look. This fuzz results because the tension wood fibers are weak and so do not cut easily, but rather tend to bend over. A cooler heating cycle will help strength these fibers, but will not affect the uneven shrinkage. Irregular grain: Another cause of buckle is irregular grain found around knots and burls, and wavy grain in species like birch. Non-uniform drying: Differences in the original moisture content within a sheet of veneer as well as differences in the rate at which a sheet will dry creates variation in moisture, which means stresses within the sheet and buckle. Likewise, uneven drying conditions in the dryer can affect moisture contents and buckle. Often a dryer is designed so that the ends of the veneer dry faster than the center. This difference will increase the risk of buckle. Possible solutions: Obviously, if the logs have tension wood, which is often site related, there is little one can do. Here are a few suggestions. • Use logs that are free of stress. • Heating logs or flitches to 180 F may relieve some growth stress, but also may affect color. • Proper lathe or slicer settings (especially pressure bar) must be achieved. • Use uniform dryer conditions. • In a continuous dryer, oftentimes the ends of the veneer sheets are overlapped several inches to prevent rapid drying of the ends. • Avoid removing hot veneer from a dryer if the veneer still has moisture variations. A brief cooling prior or equalization period (sometimes called conditioning) prior to leaving the dryer (while the veneer is still held flat) does help. • Avoid a large number of layers of veneer in a press dryer.